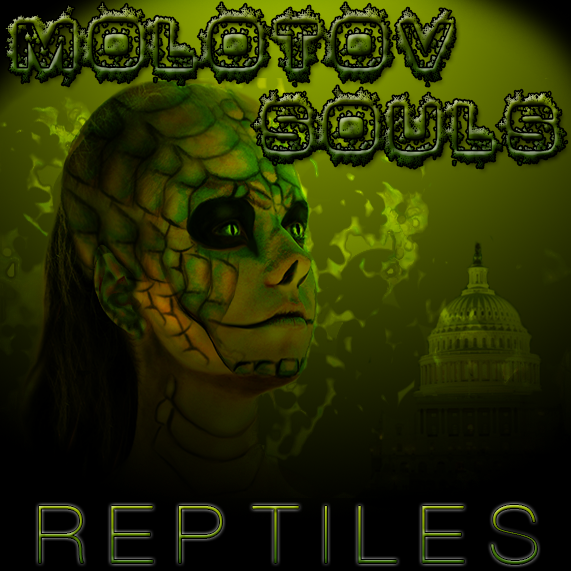 Molotov Souls describe themselves as ‘A Metal Punk band that sets social and domestic topics against sonic landscapes’. Fighting Boredom review their debut EP below. Local bands are the life blood of music, you pay a pittance to go and stand with your mates and watch five or so bands tear up a backroom of a pub or social club and go home satisfied with your ears ringing. We’ve all been there and we know that the transition from blasting out your tunes in a pub to putting something down in a studio means the absolute world to these people. Molotov Souls are a staple on the Coventry and surrounding areas Punk and Rock circuit, they are there making people throw themselves around like idiots and keeping this music alive and well, right where it matters, inside kids heads. This is a great big mash of sound, from the shuddering stop and start of the title track to the epic, huge Hiding From the Sun. It judders from side to side and tries to decide whether the punked out groove should win a fight with the cool rock vocal which switches from smooth to rough effortlessly. This is the strength of this record, it’s not a full out attack of any genre, and that keeps you guessing and keeps you riveted. The closest thing I can find in these tracks is the majesty and enormity of classic era Janes Addiction but this is only an echo, just a hint, the meshing together of the attitude and sneer of Punk with the power and glory of Metal is captured here fantastically. Yes it’s rough around the edges but hell, if everything was smoothed down and polished where would all the fun be. If you like punk, metal or anything bordering on them you will love this. Spike up your hair and get down the front. Molotov Souls can be found on Facebook.